I have never tried acid. By the time I was into my late teens I was too late for 60’s counter-culture’s drug of choice, LSD. First synthesised in 1938 by Albert Hofmann the drug is famed for producing altered time and sensory illusions. 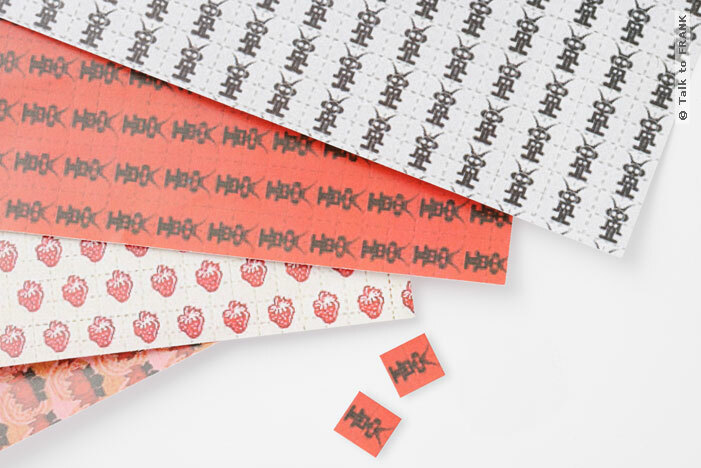 Whilst it was not addictive per se and is not known to have caused brain damage, it did engender acute adverse psychiatric reactions such as paranoia, anxiety and delusions. LSD was extremely popular as a drug and was initially legal but the authorities clamped down on it hard and its day was over. A more natural alternative, magic mushrooms, has filled the gap. My thoughts turned to acid the other day when I read that a team of researchers at London’s Imperial College were recruiting volunteers for research into the possible uses of psilocybin to combat anxiety, depression and addiction which is scheduled to start in April. How do you get these gigs? The anti-depression study will begin with 12 patients whose brain activity will be monitored before and after receiving a dose of psilocybin. Interestingly, there is still a stigma attached to LSD and so to avoid controversy the researchers have decided to concentrate on the active ingredient in magic mushrooms. The next stage of the research will be to extend the trials to involve 60 patients, half of whom (possibly disappointingly for them) will be given placebos. Trials in America have already indicated that a single dose of a hallucinatory drug can have dramatic effects on anxiety and depression, in particular amongst patients dealing with terminal cancer. They claim that people who had been hitherto scared out of their wits lost their fear after a dose. Seems to make some kind of sense. After all, if movies like Apocalypse Now and The Deer Hunter are to be believed, troops out in Vietnam were routinely spaced out before they launched a raid. Beats a slug of rum or brandy, I think. A blast of a hallucinogen may also be the key to packing up smoking if a study conducted at John Hopkins University in Baltimore is to be believed. A small group of smokers (tobacco stunts your growth, after all) were given psilocybin to treat their habit. Of the 15 guinea pigs 12 were able to give up smoking and lasted out for at least 6 months, a far higher success rate than other nicotine replacement therapies can boast. A more extensive study is underway. Acid on the NHS – there’s a concept to mull over. The improvements in imaging technology now enable scientists to get a better picture of the impact of hallucinogens on the grey cells. The ne’erayers, though, claim that this is the thin end of the wedge. They feel that a wider discussion of the wider benefits of psychedelic drugs will increase public demand for products which if not strictly controlled would be potentially dangerous. Can’t say I agree. I will look forward to following the progress of this piece of research. This fearsome and devastating epidemic was thought to have been introduced to the Roman Empire by troops returning from their campaigns in the Near East. 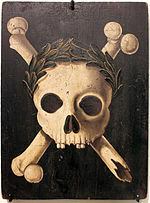 So virulent and fatal was the disease that it is reckoned to have caused the deaths of 5 million unfortunates and as much as a third of the population in some areas as well as devastating the Roman army. It may well have accounted for the death of the emperor at the time, Lucius Verus, who pegged it in 169. What is interesting about this epidemic is that it was witnessed and recorded first hand by the great Greek physician, Galen, in his Methodus Medendi and, consequently, it is often known as the Plague of Galen. This was not a fast-acting disease. Galen describes it as great and of long duration with the victim suffering fever, diarrhoea and inflammation of the throat and then on the ninth day a skin eruption, sometimes dry and sometimes pustular. From his description some scholars have concluded that it was a smallpox based epidemic. Ancient sources affirm that the epidemic first appeared during the Roman siege of Seleucia in the winter of 165-6 and that it then spread to Gaul and the legions along the Rhine. Galen witnessed the epidemic first hand amongst the troops stationed at Aquileia in the winter of 168/9. Of course, there being no antidote or effective quarantining, the populace were forced to rely on their own resources or seek help from the gods or other forces. Lucian records that the charlatan Alexander despatched a verse containing a magical spell to all parts of the empire during the pestilence and it could be seen written over doorways everywhere, particularly, the poet notes with heavy irony, of houses that were emptied of occupants. The geo-political consequences of the plague were significant. The Parthians took the opportunity to attack Armenia and the Roman defence of their territories was significantly hampered when a large number of their troops succumbed to the disease. According to a 5th century source many towns and villages in the Italian peninsula and the European provinces lost all their inhabitants. The disease swept north into the Rhine area infecting Germanic and Gallic peoples outside the empire’s border. The northern tribes pushed southwards in an attempt to find more and better living space and the Roman armies were hard-pressed to contain them. The then emperor Marcus Aurelius personally commanded troops near the Danube in an attempt, which was only partially successful, to hold back the hordes. A campaign against the German tribe, the Marcomanni, was postponed until 169 because there weren’t enough troops available. Despite his campaigning Marcus Aurelius found time to write his stoical philosophical Meditations but the footprint of the plague is plain to see. In one passage he notes that the plague around him was less deadly than falsehood, evil behaviour and lack of compassion. Even on his death-bed he asked those around him not to weep for him but to think of the pestilence and the deaths of so many that it accounted for. I doubt many shared his stoical approach to life and death. I was delighted to learn this week that a compromise has been found to a long-standing dispute between man and elf. 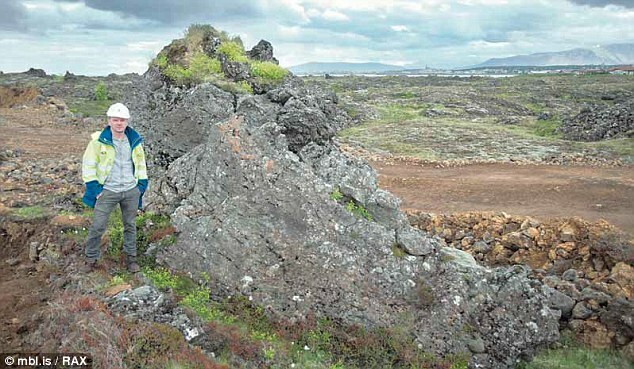 A new road development planned on the Alftanes peninsula near Rejkavik was halted because its route would go through a piece of land which contained a 12 foot jagged rock which is considered to be the Ofeigskirkja used by the Huldufolk who are derived from the elves of Norse myth. The Icelandic Supreme Court accepted arguments made in 2013 that the road would disturb a protected area of culturally important elf habitat. A deal, though, has now been brokered by a self-declared seer, Ragnhildur Jonsdottir, who has persuaded the authorities to move the rock close to other rock formations. The elves, she claims, have had eighteen months to come to terms with the move. So peace is restored. Food seems to have been dominating the news this week. First of all, our glorious leader (until May 7th at any rate) went all existentialist on us by asking us to ponder on just how many Shredded Wheats are enough. He opined that two were sufficient and three were overkill. I think we have found the topic that will decide the fate of the next election. Wherever you stand on the great Shredded Wheat question, I think we are on safe ground to expect to find more than one crisp in a packet of crisps, even if we have bought them from the bargain-priced supermarket chain, Aldi. Richard Bootman from Mildenhall bought a packet of Snackrite steak and onion crisps and was somewhat surprised when he ripped open the packet to find it contained just one, solid round object. Displaying the low standards of expectations that Aldi customers are used to exhibiting, he thought it was just a ball of soggy crisps. On closer inspection he found it was one perfectly formed potato. Magnanimously, the German supermarket has offered him a full refund. And, finally, sources tell me that the tipping point for the late unlamented Jeremy Clarkson was being told that he was going to be served a cold meal rather than his customary steak and chips. Such outrageous treatment is enough to make anyone’s blood boil. A case of too many chips on his shoulder, perhaps? This is another one of those phrases that takes the form of comparing one thing to another and is used to express a state of blissful contentment. Until comparatively recently the majority of buildings in England had little in the way of floor covering. Sanitation and drainage was rudimentary at best and with lots of animals roaming around and horses being the principal form of transport, it was a constant battle to prevent the dirt from the streets being carried into the buildings. Sand was used as a rudimentary form of floor covering in the 18th and 19th centuries which could be swept away along with all the detritus that had been collected up, before being usurped by sawdust. The stuff was delivered to houses, pubs and theatres by men and children who were known as sand boys. Today we might associate the use of the term boy to denote a young male child but in those days boy was used more generally and in particular it was associated with a menial or low status occupation. Hence its use in job titles such as barrow-boy, a house-boy or a tea-boy. The sand boys’ association with jollity through excessive alcohol consumption would seem to explain the origin of this phrase. However, whether sand boys were too British a phenomenon or were a particularly miserable lot when they left the shores of Blighty but other parts of the world developed variations on the theme. Si in Australia we have as happy as Larry. There are two possible answers to the question, who is Larry? Some claim it is a reference to the famous antipodean boxer, Larry Foley (1847 – 1917), who was unbeaten throughout his career and claimed a prize of £1,000 in his final bout. His career ended around the time the phrase was first recorded in 1875. Alternatively, it could be a diminutive of the colloquial term, larrikin, meaning a ruffian or a hooligan. My money is on the latter. And in the States you are as happy as a clam. This strange image is probably a result of observing the wide rictus-like expression of an open clam. 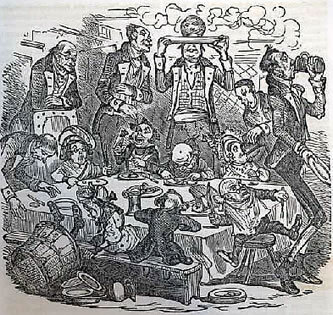 Whether they feel emotion, let alone jollity, is somewhat doubtful but the association with the mollusc with the height of happiness can be traced back to as early as 1833 in The Harpe’s Head, “it never occurred to him to be discontented… He was as happy as a clam”. Tom Waits famously said that he’d rather have a bottle in front of me than a frontal lobotomy. Many of us like to give a piece of our mind but not in the way the latest practitioner of quackery to come under our microscope, Walter Jackson Freeman, intended. A prominent neurologist and psychiatrist, Freeman popularised the lobotomy by making it easy and convenient. During his long career he performed 3,439 lobotomies. He was encouraged to embark upon a career performing these brutal surgical procedures when he discovered that chimpanzees became subdued when their frontal lobes were damaged, with a colleague, James Watts, he started experimenting on brains supplied by the local morgue. Freeman believed that a lobotomy was effective because it severed the connections between the frontal lobes and the thalamus of which the mentally ill were over endowed and which was thought to be the seat of human emotions. By 1936 they were ready for their first patient, a sufferer of agitated depression, a Mrs Hammett, who had six holes drilled into the top of her head. She lived for a further five years and in an Abraham Lincoln like moment, Freeman declared she “was able to go to the theatre and enjoy the play”. Freeman’s breakthrough in making the procedure more efficient was in perfecting what was known as the ice pick technique. This form of transorbital lobotomy involved the insertion of a sharp instrument – initially he used was an ice pick – through the inside corner of the eye, tapping it with a small hammer until it broke through the skull bone and entered the frontal lobe of the poor unfortunate’s brain and wiggling it around to sever the neural connections. The procedures were conducted outside an operating theatre – Freeman, naturally, had no formal surgical qualifications – and without anaesthetic, although the victim was incapacitated by electroshock therapy. Freeman moved away from the ice pick, inventing an instrument called the leucotome, which he had to further refine when one snapped and lodged in a patient’s orbital socket. Inevitably, with a procedure such as this there were some casualties – Freeman eventually lost his medical licence when one of his patients died during the procedure – but hospitals and medical institutions were prepared to put up with the procedure because the post-operative patients living in a Freeman induced state of lethargy were easier to deal with. In true quack fashion, the loss of a medical licence didn’t bother Freeman. He travelled the U.S in his Lobotomobile, tending to the poor and needy, charging $25 a go – a cheap and, seemingly, effective way of dealing with a relative who has gone gaga. Again, revealing another trait of the consummate quack, Freeman was a showman using graphic exhibits to publicise his procedure and using hand-held clackers to draw crowds. What seems astonishing to me is that he had repeat patients and one of them, a Helen Mortensen, who was receiving her third lobotomy, proved to be his undoing in 1967. During the course of the procedure Freeman severed a blood vessel. The unfortunate Mrs Mortensen died three days later from cerebral haemorrhaging. This was the final straw and Freeman was banned from performing surgery and so his astonishing career came to an end. Was it really forty years ago that I bought my copy of Zep’s Physical Graffiti from Andy’s record stall on Cambridge market? I can still remember the excitement of getting it back to my college rooms, assembling some mates for the grand inaugural hearing, cranking up the volume and sitting back to enjoy the full range of sonic mayhem that the album delivered. 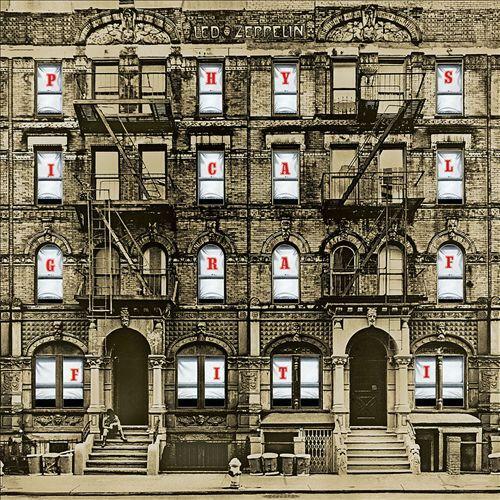 Physical Graffiti was almost a victim of the physical constraints of the recording formats available at the time – vinyl. For those of you too young to remember the joys of vinyl, seemingly regaining popularity as a medium I hear, a side lasted around twenty minutes – just enough time to feel nicely relaxed and then you would have to get up again to change the record over, a dangerous exercise late in the night as many scratches will testify. Anyway, Zep recorded 55 minutes of material originally, enough for a CD these days, but only about three sides of vinyl. So they hit upon the bright idea of expanding the record to a double album by using some of their material which missed the cut for earlier albums to pad it out to the requisite length. And of course the 40th anniversary triple CD set has padded out the monster even further by including the obligatory outtakes and early versions of the songs. The opening track of the first side, Custard Pie, sets the scene showing that the band means to take no prisoners. All the trademark Zep features are there – John Paul Jones’ pounding bass and John Bonham’s brutal drumming setting up the platform for Jimmy Page’s mesmerising guitar and Robert Plant’s vocal pyrotechnics. Kashmir shows the band at their most bombastic, mixing orchestral backing with pseudo-eastern effects and no other band but them could carry it off. My favourite track always was In My Time Of Dying which is a heavy metal blues number in which the opening few minutes give the impression of a band cranking up for the final aural assault. Trampled Under Foot, another favourite, shows off Jones’ bass virtuosity well giving what is a heavy metal tune a very funky feel. Black Country Woman has some brilliant harmonica work from Page and stomping, quasi-military, drumwork from Bonham. There are a couple of tracks that seem somewhat out of place – the beautiful folky Bron-Yr-Aur with Page on acoustic guitar, an off cut from the sessions for their third album, the country rock number, Down By The Seaside, and one weak track, Boogie with Stu. Inevitably, the original album has been remixed and remastered by Page and it does sound sharper and fuller, but that may be because I am playing it on far superior reproduction equipment. And I’m blowed if I can find much difference between the final versions and the outtakes but that may just be me. One of the glories of the original album was the record sleeve and artwork which loses its impact, inevitably, in the more condensed format of the CD. Still you still have the pictures of people and letters which you can align with the cut out windows of the rather grim building, if you feel the need. Many claim this to be the greatest double album ever. That may be so but what is very clear is that this is a powerful group at their height. Hearing it again after so many years reminds me how vapid and ephemeral so much of the music that has been produced since really is. This is a monster album from a monster of a group at their swaggering best.